Hope you are doing great. Nice to see that you are trying to create an eCommerce website. It is far more simple than it sounds. All you need to know is aptly using the WordPress platform (I’ll take you through that in this guide) and no coding whatsoever ! Buy a domain and web hosting account. First, we need a name for the eCommerce website. Just like Flipkart, pick a brand name for your business. Once the name is decided, you’ll have to buy a web domain (eg: flipkart.com), which allows access to the eCommerce website which we will create in this guide. Read in the below link some tips on deciding a domain name for your eCommerce business. 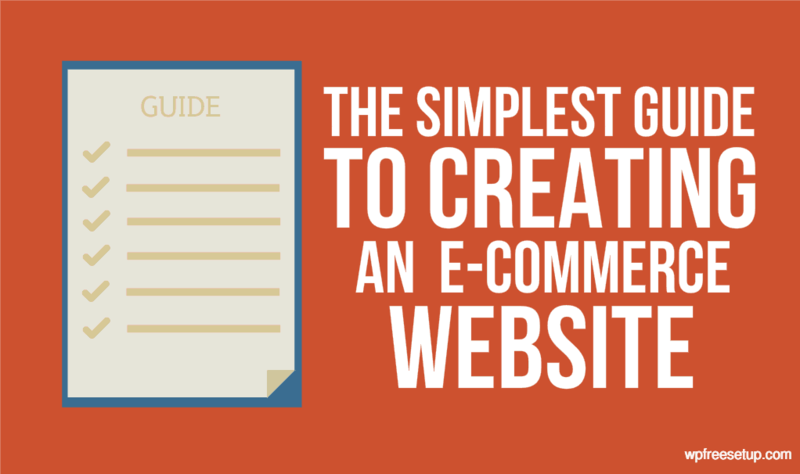 Get back to this guide soon after reading it in order to create an eCommerce website with WordPress and WooCommerce. Choosing a Domain for your business. After you have come up with the best domain name, it is time you buy the domain and a hosting account that will host the eCommerce website on the web. The current leader in the web hosting industry is unquestionably BlueHost. As a starter you can buy a shared hosting account from BlueHost as you may not have ginormous traffic to the website. If you are planning on a huge eStore with thousands of products with tens of thousands of leads, you can opt for Cloud hosting from Cloudways. (It’s good for WordPress). Assuming this guide is for beginners with a small scale eStore, I’ll help create an eCommerce website with a shared web hosting from BlueHost. First, head to BlueHost and buy a shared hosting account from them. You need not buy a domain from elsewhere as BlueHost also offers a free domain for a year. Use the below link to buy the hosting account at discounted price. It takes less than 2 minutes and $100/yr to get your domain and hosting. Buy BlueHost account for eCommerce WordPress website. If you are stuck somewhere, follow this simple and quick guide to buy your domain and hosting from BlueHost. When you are done with buying the hosting account for your blog, you’ll be greeted with an eMail form BlueHost with your login details. Login with the eMailed login credentials to your BlueHost account. 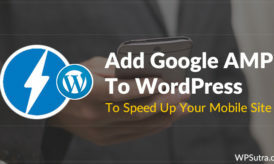 Then follow the below 3 minutes video to install WordPress with the bought domain. If you have throughly followed the above video guide, you will have your WordPress blog up and running. However, we are not looking to create a blog. We are rather looking to create an eCommerce website with the blogging platform – WordPress. Yes, it is possible to convert this blogging platform into a full-fledged eCommerce platform. Read on to know how. 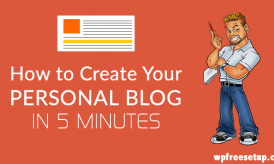 WordPress by default is designed to create blogs. However, with the help of predesigned pieces of code we can enhance the WordPress features. 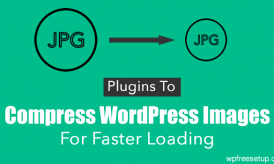 These predesigned codes can be embedded to WordPress through what we call Plugins. One such plugin which we use to create an eCommerce website using WordPress is the WooCommerce plugin. While there are other plugins(like bigCommerce) that can do the same, i.e., help create an eCommerce website with WordPress, WooCommerce is seen as the best by many web developers who use WordPress. It is highly customizable and packed with almost all features an eCommerce website may need. Here is a quick intro to WooCommerce plugin and what it can help you do. On the left sidebar of your WordPress Dashboard click on Plugins -> Add new. Install the plugin from the results. Hit Activate upon successful installation. We have now powered the WordPress website with WooCommerce which turned it into an eCommerce platform. We can now start our eCommerce activities like adding products, payment options, etc with WooCommerce. However, let us first give the website the look of an eCommerce store. For this we need to install an eCommerce theme. There are 100s of eCommerce theme providers for WordPress offering both free and premium themes. You can choose one of those to give your store the desired look. You need to make sure that the selected theme is compatible with WooCommerce. I suggest you go with the Storefront theme designed by and for WooCommerce. It is absolutely free, looks crisp and pretty straightforward. Above all it is easy for newbies. Check the demo here. On the WordPress dashboard sidebar, click Appearance -> Themes -> Add New. On the results page hover on Storefront theme and click install. You can visit the website, and see that it looks more like an eStore now. Now that we have enabled WordPress to function as an eCommerce platform with the help of WooCommerce and have also given the website the look and feel of an eStore with the Storefront theme, it is time we add the eCommerce website functionality using WooCommerce plugin. Depending on your business’s scope and need, you may want to have a lot more features, most of which will be addressed by WooCommerce. The others can be met by using WooCommerce extensions. In order to setup your eCommerce website with WooCommerce, you will have to go through each aspect of the website by following the WooCommerce 101 tutorial series published by WooCommerce’s official YouTube channel. The series take your through the general settings of the plugin to managing refunds for your customers in 33 short and clear videos. Go through the playlist and setup your eStore. On having followed this guide hope you successfully create an eCommerce website using WordPress. Make sure you meticulously go through the WooCommerce 101 series in order to complete you eStore with desired features. Do let me know how it worked out for you in the comments below. Good luck with your WordPress based eStore! Really Great article but can you tell me some other plugins like woocommerce ? This helped me out a bunch thank you! I was struggling to figure out how to effectively use woocommerce. Good guide, Which themes do you recommend for e-commerce other than woo themes? I never thought that it is really possible to create popular flipkart wordpress site. I was thinking from last sometime to create an ecommerce website and it is really great idea as I know how to create website on wordpress. Your tips has motivated me to create it on wordpress. This is great way guide to build Flipkart type site with WordPress. Amazingly this is easy way i felt after reading this post. Thankd Preethi. Keep sharing.